1. Eating bananas the morning after a night of heavy drinking provides lost electrolytes like any food would, but it also specifically replenishes the body with lost potassium. 2. Avoid caffeine. A weak cup of coffee may be fine but too much caffeine can dehydrate your body even more. 3. Sports drinks like Gatorade or Powerade actually will help. 4. Taking a cold shower switching from hot to cold will help balance your body temperature. 5. Next time try to drink equal amounts of water with every drink. In case “everything in moderation” went out the window, or down the drain, last night, here’s some information to help you out. Bananas! Who knew! I always try to do water with every drink but inevitably end up with way more wine than water! Thanks for the tips! I know a few people that would appreciate this post! Certainly could have used this last weekend haha! Hangover help from Foodimentary! Interesting. I have a friend who swears that eating an entire iceberg lettuce will fix any hangover.. There are some great cocktails that call for the use of banana. Perhaps these cocktails prevent hangovers before they even start. The best hangover cure I’ve found is hash brown potatoes and about a gallon of ice water. Must be something to do with that potassium/dehydration thing. The same “cure” helped with morning sickness too! Couldn’t have been more timely – off to buy some bananas! Big believer in the bananas! potassium all the way! Now you tell me how to beat hangovers. Back in the day I had some. But the best way to beat a hangover is to stop drinking when you had enough. I have limited my drinking once or twice a year and I feel great. Actually, it’s a myth that caffeine dehydrates you. I have read about that. I should probably clarify what I said… Caffeinated beverages, like coffee and tea provide hydration up to about 6 cups, then they might dehydrate. Thanks anyhow but Jesus already gave me a bandade 40yr’s ago… Blessings.. Bro Pat. Have you heard of Irn Bru? http://www.youtube.com/watch?v=ZXziWRCMalA The Scottish hangover cure. Wouldn’t it be easier not to drink so much – so there will be no hangover. *smile – Great post! After all those margeritas, and all the talk about on which day it should be celebrated, this is the cure needed! although i usually balance my drinks by making sure i drink one white wine for every red, thanks for the info on the bananas! that is awesome and i will definitely try it. I am not sharing with my kids … they should suffer … so they learn to NOT do this! 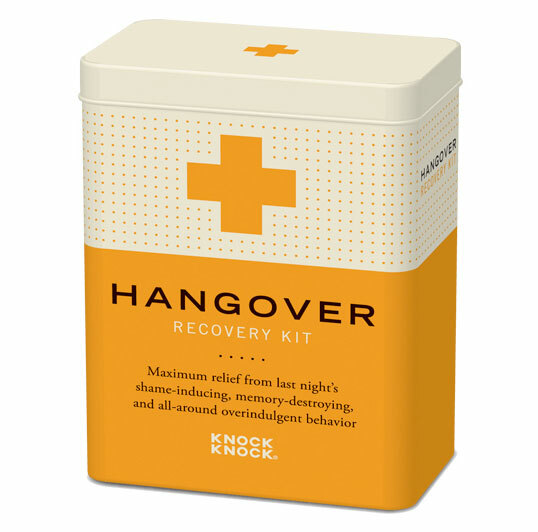 #5 is KEY for hangover prevention….I always try to live by this rule!